This is Kirstylee from Moms Have Questions Too and I am so excited to be back guest posting on Live Craft Eat! 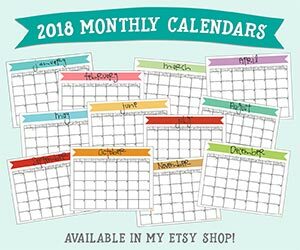 We have been very busy over at Moms Have Questions Too and are just getting ready to share a bunch of Christmas ideas. One of my favorite Christmas crafts we have done so far, is the glitter star ornament I will be sharing with you today. I recently found all of my old Christmas ornaments that I made in Elementary school. My oldest son, Little Bear (4) has been playing with them. He is really fascinated by the pictures of me when I was a little girl. He has especially loved the glitter star ornament, so I figured I should make one with him. 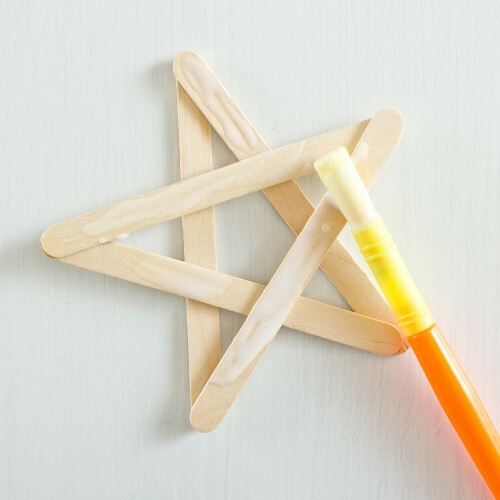 First, glue the 5 popsicle sticks into a star shape using the Elmer’s glue. 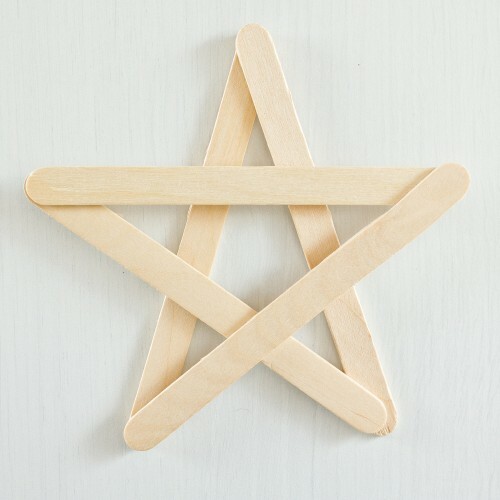 We did a traditional 5 pointed star, but if you use 6 popsicle sticks, you can easily make a Hebrew star as well. Let the glue dry completely. Wait a full 24 hours if possible. If not, a few hours will probably be fine. Once the glue has dried, completely cover the front of the star with homemade mod podge. We used a paintbrush to do this and it worked very well. 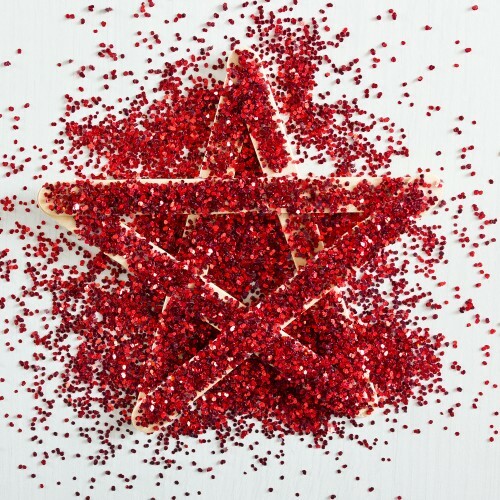 Sprinkle glitter over the mod podge so that the star is totally covered (be sure to do this over newspaper or scrap paper for easier clean up). Shake off excess glitter and sprinkle more glitter over any bare spots. Give another few hours for the ornament to dry completely. Once dry, get your ribbon and fold it into a loop, then glue the loop onto the back of the star. 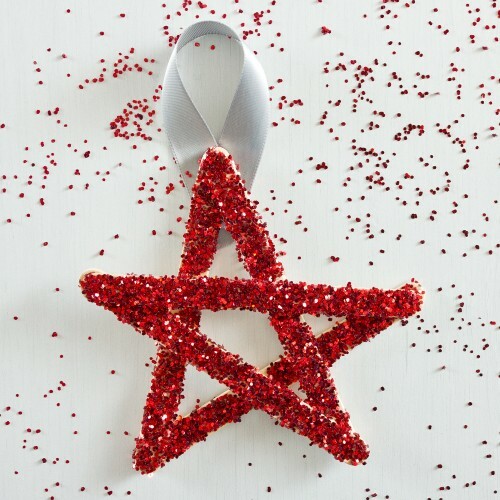 Be sure to attach the ribbon at the top of a star point. 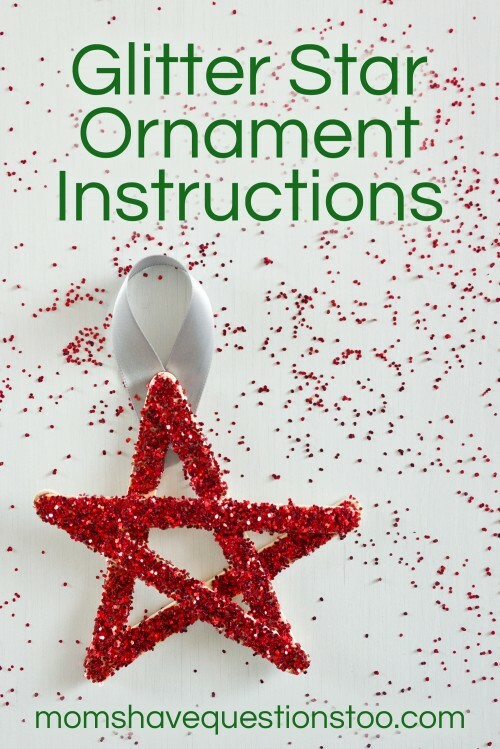 If you are going to add a picture to the ornament, it will go in the pentagon in the middle of the star. Put your picture over the pentagon to measure and trim the picture, if necessary. 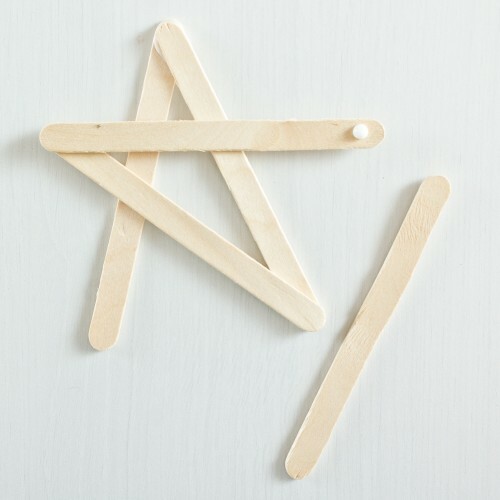 If the picture is too small for the pentagon, glue it to a small piece of paper that is the right size. Glue the picture onto the back of the ornament, with the picture facing through the front. These ornaments make a great Christmas gift for grandparents. Check out our post on 75+ inexpensive gift ideas to find more Christmas gifts that you can afford. 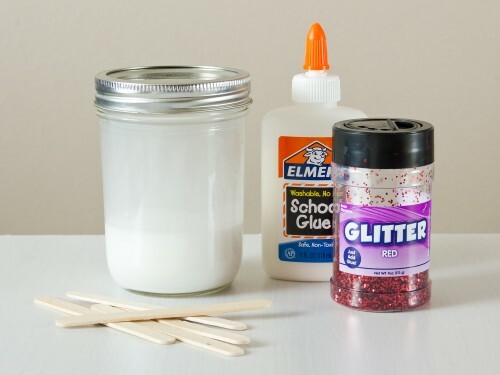 Kids love making these ornaments because they get to paint with homemade mod podge and because of the glitter. Little Bear is very proud of his star ornament and it has a very special place on our Christmas tree. LOVE the glitter and since we don’t have very many Christmas tree ornaments I can see us making a bunch of these. 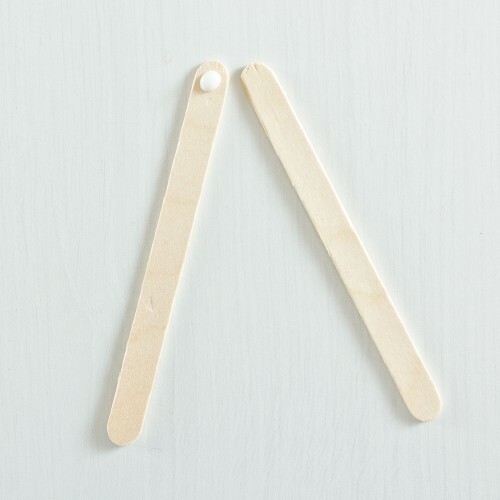 Thanks for posting such a simple but great craft! Will be trying soon!